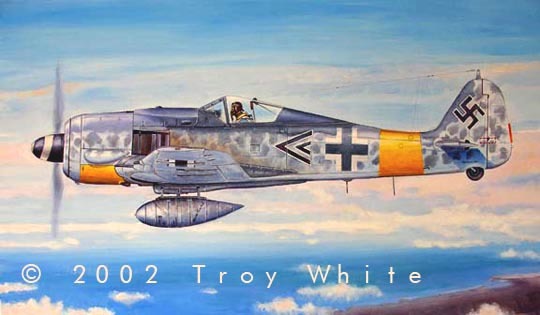 The FW 190A-7 430489 depicted here was flown by Gruppenkommandeur, Oblt. 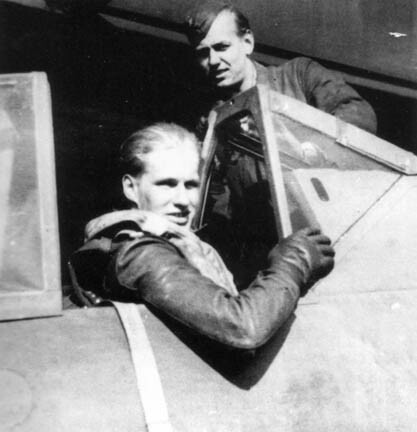 Hans-Heinrich Koenig of I./JG 11. Koenig, an ace with 28 victories, was one of three pilots from I./JG 11 who went down near Kaltenkirchen, /30 km North of Hamburg, Germany on 24 May 1944.